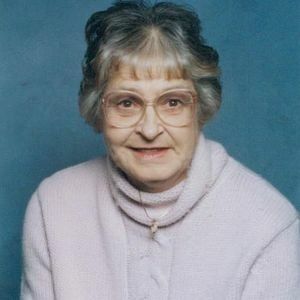 View Life Images Slideshow → Mary A. Bateman , 68, passed away Saturday, October 15, 2011 at St. Joseph Hospital in Fort Wayne. Born in Herring, IL, Mary worked at Taco Bell on South Anthony for 9 years. She was as an avid Colts Fan and enjoyed spending time with her family and going out to eat.. Surviving are her daughter, Debra (William) Marendt son, Albert Griffith grandchildren, Kisha (Jason) Mattern Judith (Gar) Fraley- Roby all of Fort Wayne, IN great-grandchildren, Sarinah, Nataly , Jace, Courtney, Jasmine, Beau, Taylor,her sisters, Fay (Homer) Mandrell of Tampico, IL, Gracie (Randall) Starnes of Bonifay, FL brother, Melvin Nance of Rock Falls, IL sister, Meline (Bll) Shirley of Clinton, IA. Mary was preceded in death by her parents, Albert and Ruby Eleam, first husband, Gerald Davis, second husband, Lonnie Bates Jr.,brother, Thomas Eleam, sister, Betty Sparks. Service is 10:00 am, October 21, 2011 at - D.O. McComb and Sons Lakeside Park Funeral Home, 1140 Lake Avenue with calling 1hour prior. Calling also Thursday, October 20, 2011 from 3:00 pm - 5:00 pm and 7:00 pm - 9:00 pm at the funeral home . Burial in I.O.O.F. Cemetery New Haven, New Haven, Indiana. Memorials may be made to the to the great grandchildren college fund % Debra Marendt. To sign the online guest book, go to www.mccombandsons.com.